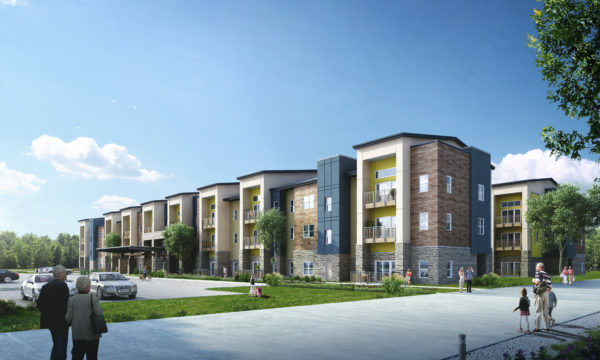 As the demand for independent senior living continues to grow, Novel Place provides an innovative and highly attractive portfolio for independent seniors and investors alike. Starting with a state of the art building designed by industry experts, Novel Place offers refined common areas and resident homes inspired by top hospitality brands– providing ample, open and inviting areas for gathering, dining, exercise, and recreation along with comfortable, stylish apartments. The standard Novel Place concept features 134 apartments in a variety of studio, one, and two-bedroom units, plus over 25,000 sf of common area. The three-story building offers outdoor courtyards, an in-house fitness studio, and multiple lounges and gathering spaces for residents and their guests. Each Novel Place design is customized and adapted to the specific needs of the site and surrounding community in which it’s located.